Hrithik Roshan mentoring Angela Krislinzki for Bollywood debut? 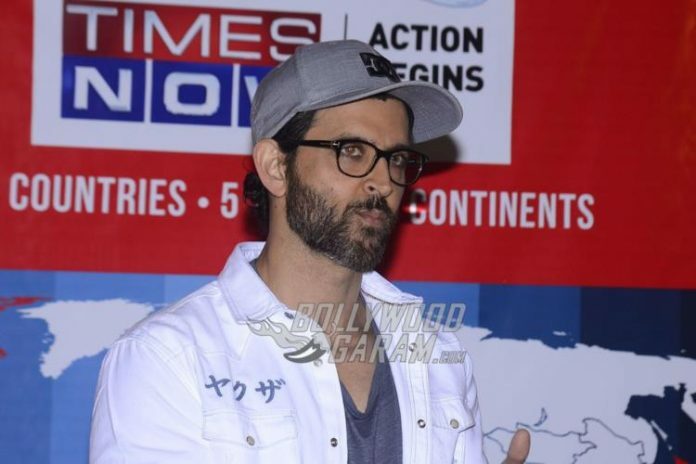 Home Actors Hrithik Roshan turns mentor for Spanish actress Angela Krislinzki? Hrithik Roshan turns mentor for Spanish actress Angela Krislinzki? After Barbara Mori, Hrithik Roshan has taken to coaching Angela Krislinzki for her Bollywood debut? Bollywood hunk Hrithik Roshan was linked to Mexican star Barbara Mori when they were shooting for the movie Kites that also ironically starred his alleged, future flame, Kangana Ranaut. At the time, the alleged romantic link between the Dhoom 2 star and the gorgeous actress created cracks in his personal life. After the movie bombed at the box office, the rumours began to fade as well. Hrithik Roshan was just doing his good deed for the day, grooming Barbara Mori for a successful career in Bollywood, but alas, things didn’t work out as planned. Now the actor has reportedly found a new companion in Spanish model and actress, Angela Krislinzki. Hrithik and Angela featured together in two commercials and once again the Koi Mil Gaya actor is taking interest in her Bollywood career. Angela talks fondly about how the actor has been helpful in shaping her career and has taken it upon himself to coach her. The actress added that Hrithik was the one who assured her that her first South film would help her give a better shape to her career. Hrithik has even reportedly advised the actress to work on her Hindi language/accent and acting skills so that her chances to come up in Bollywood increase. Angela said that she considers Hrithik as a mentor and also keeps him informed. On the work front, the actress has already completed a South film, Size Zero and has done more than 50 commercials. Apart from working with Hrithik, the actress has also featured alongside Sushant Singh Rajput, Irrfan Khan and Ranbir Kapoor in several commercials.